Alan is a former international Flat Track racer and UK Number 1 (2016 & 2017). He also performs as a stunt & test rider. He is a multiple open finalist at the world’s most prestigious Flat Track event ‘Superprestigio’ in Barcelona, Spain, competing alongside such names as Marc Marquez. He has raced in various series and national events in the USA and was the first UK rider to earn an AMA Pro Flat Track licence. Alan began racing at the age of 13 in Motocross, progressing to the British Masters Championship, later trying his hand at Enduro and Road Racing before discovering the sport of Flat Track in 2011, when he began competing in the UK series. 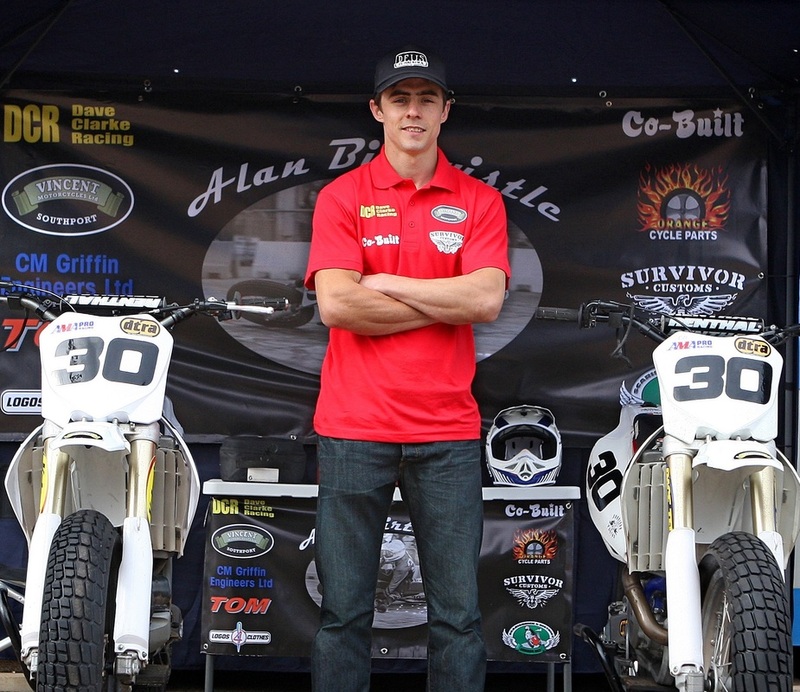 Since 2012 he has competed in the USA at Daytona National and various series and events, as well as three seasons of the X-Treme International Ice Racing Series. His riding in the US helped hone his skills to his eventual victories in the UK Championship. -Represented the UK in the Transatlantic match races between the UK & USA alongside such riders as Kevin Schwantz and Colin Edwards. -Had the amazing opportunity to ride on Valentino Rossi’s ranch in Italy. 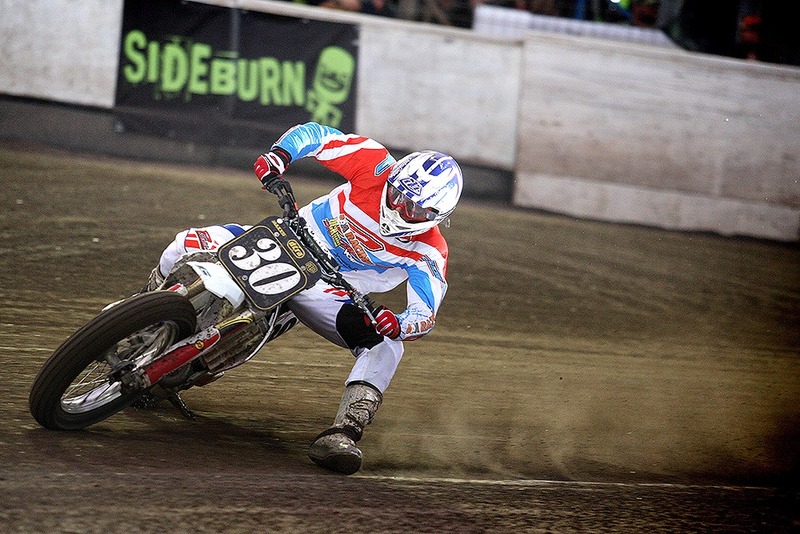 -Raced four times at the Superprestigio race in Barcelona, Spain. The event is ran inside an Olympic stadium with many MotoGP riders, many world champions from various disciplines and some of the best Americans in the business. Alan has made it to finals and narrowly missed out on a spot in the super final. -Performed stunts and riding displays at various events.